As part of the first annual Nightscaper Conference I will be hosting 2 photography and 1 post-processing workshop over the course of the 3 nights! 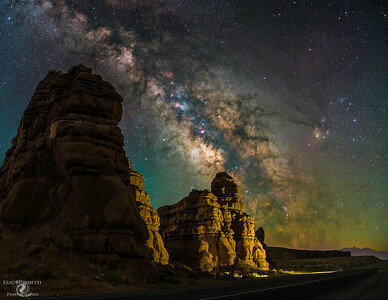 These workshops will be focused on using tracking mounts in order to generate Nightscape shots, including panoramas, and will take place in Arches and Canyonlands National Parks (one night in each). 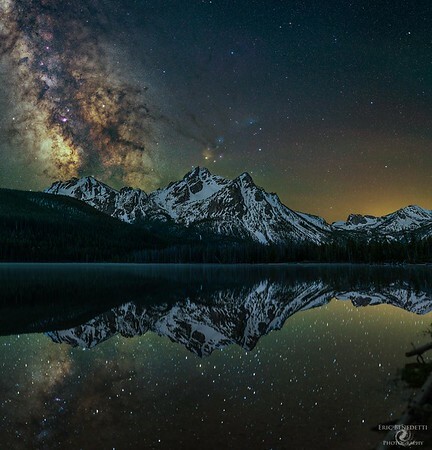 The post-processing workshop will focus on the techniques you can use to edit your tracked Nightscape images, including generating panoramas and blending your tracked sky exposures with your untracked foreground exposures. 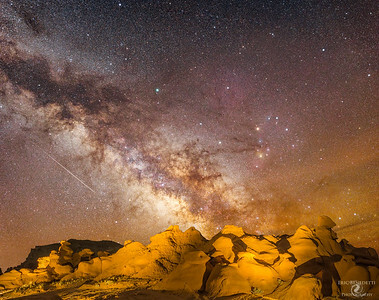 The Nightscaper conference is being held in Moab, Utah from May 1st through the 3rd, more information on the conference can be found at www.nightscaper.com. During the days the conference will feature presentations from a variety of night photographers, including yours truly, while at night there will be a variety of workshops offered to help teach. The workshops will be held the nights of May 1st, 2nd, and 3rd; the Arches workshop will be May 1st, Canyonlands workshop will be May 2nd, and the post-processing workshop will be May 3rd. 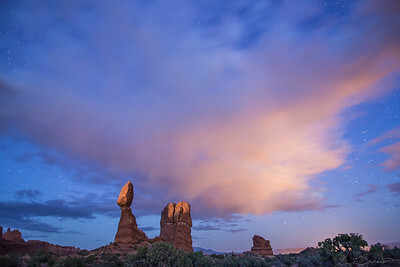 The price for a single night workshop in Arches or Canyonlands will be $250, if you register for both the total price will be $400, the price for the post-processing workshop will be $100. Workshops will be limited to 10 participants, 20 participants for the post-processing workshop. So what can you expect from a workshop taught by myself? + A hands on approach, I won't be fussing around with my own equipment, my own exposures, I'll be focused on you and the other workshop attendees, answering your questions, helping with your exposures. + Assistance with optimizing equipment setup, learning things like polar alignment and weight balancing, tricks on how to perform obstructed view polar alignments and complex tracked panoramas. + Learning how to use low level lighting to generate interesting foreground compositions with tracked sky backgrounds in mind. 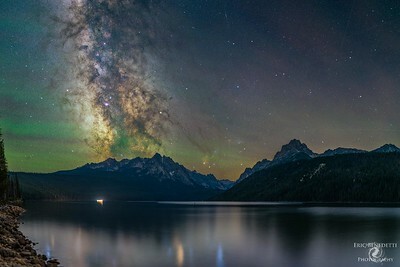 + Tricks and ideas I've put together over the years to improve your experience out under the stars, while photography is the focus it's also key to remember to enjoy your time in dark areas seeing the night sky the way most cannot. + We will meet at the hotel the conference is being hosted at, Fairfield Inn and Suites (Moab), 10 total attendees will be apart of each night's workshop and up to 20 will be part of the post-processing. 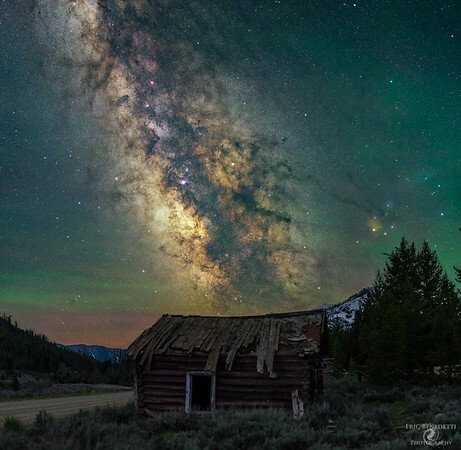 In early May the Milky Way core rises to the Southeast around midnight, so earlier in the night I will be teaching some basics for setting up your tracking mount, going through the process from pulling out your tripod to taking your first exposure. We will be performing this in the hotel area with better lighting so everyone can see and learn as easily as possible. + I will provide low level lighting tools, it is critical that nobody uses their own flashlights and other lights as the parks currently have strict rules against night lighting and only LLL is allowed. + Travel to and from Moab, including your airfare, hotel/accommodations, food/drinks, park entrance fees (not during workshop times). + Camera gear, including tracking mounts, bodies, lenses, intervalometers, etc. + Travel insurance and gear insurance. + Camera with a wide aperture lens (focal length shorter than 85mm, but longer than 20mm preferred, aperture of f2.8 and wider recommended). + Sturdy tripod with a weight supporting capacity of 15 pounds or more. I also recommend an under-tripod hanger or weight/stone bag. + Tracking mount, I've got experience with a variety of mounts from iOptron, Sky Watcher, Orion, etc. I can recommend add-ons as well, including things like pano heads, wedges, counterweights, etc. + Camera accessories such as an intervalometer, backup batteries, backup SD/storage cards, lens cleaners/rocket blowers, double-A or triple-A batteries for headlamps, etc. + Headlamp with red-light mode and a good backpack to pack things into. + Appropriate clothing, it's generally warm at night, but it is the desert and it can cool down, please be sure to check weather forecasts and bring appropriate clothing. + Water and snacks to keep you going, coffee/tea to keep you awake (please don't use high sugar energy drinks which will cause you to sugar crash later). + For the post-processing workshop I recommend people bring a laptop or tablet, although this is not necessary if you would like to just take notes, but having a laptop will allow you to do some post-processing of your own and I can provide feedback. Keep in mind that I cannot control the weather, clouds aren't the end of the world and I can still teach you how to use your tracking mount even with clouds. Also keep in mind that some clouds can provide some drama to a scene, see the image of Balance Rock to the right with clouds being illuminated by Moab light pollution taken during blue hour. If weather is so uncooperative that we cannot shoot I will provide post-processing instruction and we can go through gear setup and basic imaging.